World Bank chief Robert Zoellick warned of a "new and more dangerous" time in the global economy on Saturday, with little breathing space in most developed countries as a debt crisis hits Europe. Zoellick said the eurozone's sovereign debt issues were more troubling than the "medium and long-term" problems which saw the United States downgraded by Standard and Poor's last week, sending global markets into panic. "We are in the early moments of a new and different storm, it's not the same as 2008," said Zoellick, referring to the global financial crisis. "In the past couple of weeks the world has moved from a troubled multi-speed recovery -- with emerging markets and a few economies like Australia having good growth and developed markets struggling -- to a new and more dangerous phase," he said in an interview with the Weekend Australian newspaper. People were in less debt than during the credit crunch and current events did not have the same "sudden shock" factor, but Zoellick said there was less room to manoeuvre this time around. "Most developed countries have used up their fiscal space and monetary policy is about as loose as it can be," he said. Zoellick said the eurozone's structure "could turn out to be the most important" challenge currently facing the world economy, with some hope for Spain and Italy but debt-crippled Greece and Portugal unable to devalue. 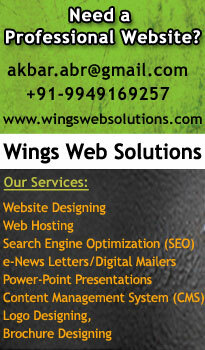 European Union action taken to date "fall short of what is needed", the World Bank chief said. "The lesson of 2008 is that the later you act, the more you have to do," said Zoellick, questioning whether the troubled European nations could "ever get ahead of the problems that have plagued them." He also urged British Prime Minister David Cameron not to be deterred from austerity measures by recent riots -- the country's worst in decades -- saying his spending cuts were "really necessary." 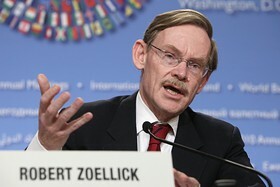 "My concern would be if the politics knocked them off course," Zoellick said. Markets swung wildly this week on rumours of a French credit downgrade over the debt crisis, which started in Greece and is now fuelled by fears Spain or Italy might default, sparking a break up of the 17-nation currency. Investors are questioning whether France and Germany, the eurozone's two largest economies, can continue to underwrite other states' debts without losing their top credit ratings and falling victim to the crisis themselves.